According to The Washington Post, the recently established US Army Cyber Command completely blocked internet services to the Internet Research Agency in St. Petersburg — better known as the Kremlin's troll factory on the day of the US Midterms in November. The agency is said to be financed by Yevgeny Prigozhin, a billionaire businessman believed to be close to Vladimir Putin. He is also thought to be the main backer of Russian mercenaries in eastern Ukraine, Syria and Africa. The agency — reported to be behind Russia's interference in the 2016 US presidential election as well as a host of other malicious activities in Western cyberspace — was, the paper reported, completely blocked which triggered confusion and panic among its management. US Army cyber experts allegedly managed to hack personal mailboxes and messenger feeds of their counterparts in the Russian military intelligence cyber units. They delivered messages that should have left no doubt in the minds of the Russians: Every one of them is known and being watched. Putin has long considered the West to be not so much weak but rather defensive. He's always managed to be one step ahead — be it in 2008 in Georgia, 2014 in Ukraine, 2015 in Syria or 2016 in the US. If The Washington Post report is correct, then the Trump White House decided to turn the tables on the Kremlin and deal the first blow. This must have given Putin pause for thought. But don't expect him to back down. The idea of a tactical retreat rarely, if ever, enters his mind. That would be to show weakness. Putin sees the world in highly personalized terms. He will consider the publicity given to the attack as a deliberate humiliation by Washington. It does not mean he will order his cyber troops to strike instantly at the US. The Russian strongman likes to wage a so-called asymmetrical warfare in which he never pounces immediately and never in the same way. And although President Donald Trump has deposed Putin as the world champion of unpredictability, he still considers himself a master of geopolitical surprises. 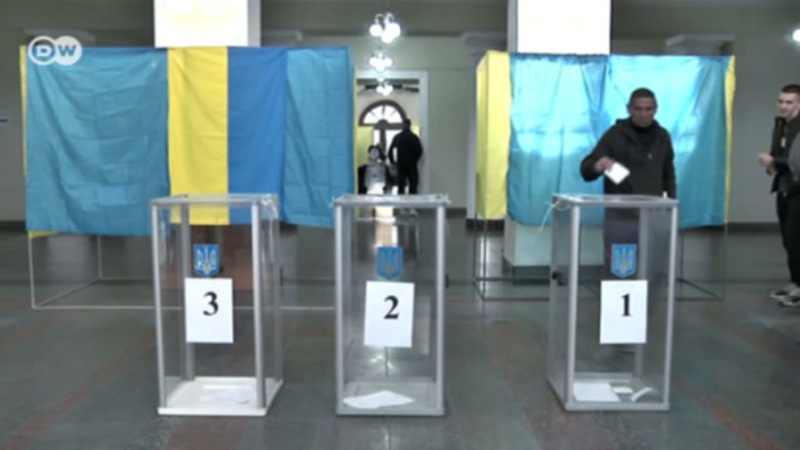 A key target could be the presidential election in Ukraine on March 31. Sowing real chaos in the country which he already invaded will be easier than doing so in the US. It also helps that Ukraine's cyber capacity is markedly lower than Russia's. Expect to see provocative fake news targeting the banking sector and utilities' systems. Number two on the list: the upcoming European parliament elections. Even with the euroskeptic right in relative decline, the Kremlin will continue to support it as well as many of the less-known, but reliable, leftists. Putin's goal is to have a European Parliament that will help deepen existing rifts in the EU. And then there is the UK. Promoting Jeremy Corbyn's Labour party will certainly be on the agenda as his anti-NATO views and readiness to listen to official Russian arguments make him Moscow's most desired candidate to take over Downing Street 10 — Brexit notwithstanding. He may also decide to test the reliability of NATO's infrastructure on its eastern flank and in the Baltic states. For some reason, Moscow thinks that this is the alliance's soft underbelly where flexing the muscles will not cost much. Finally, the US itself. US Congress will likely soon approve sweeping new sanctions under the Defending American Security from the Kremlin Aggression Act. Among the list of measures are two which target Putin directly. Firstly, Congress wants all the relevant US departments to make public everything they know about the Russian president's personal wealth. Secondly, it wants to launch a US-led investigation into the assassination of Boris Nemtsov, one of Putin's most principled and staunch opponents. He was gunned down in full view of the Kremlin in February 2015. Alleged perpetrators were caught and sentenced, however those who organized and ordered the assassination remain unknown. The Kremlin-controlled police and judiciary have stonewalled further inquiries. And although there is little chance the FBI and the CIA will be able to uncover the truth, just mentioning the case is tantamount to directly accusing the Russian leader of complicity in the murder. In both instances, Putin will have to devise a response. An obvious target would be the US presidential primaries. It's hard to imagine that Putin's Russia won't "take part" in the US presidential election next year. The first world cyberwar is just beginning.